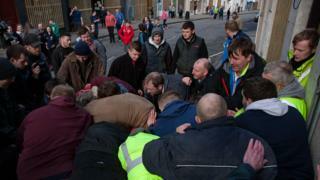 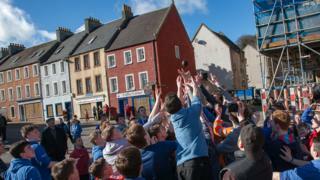 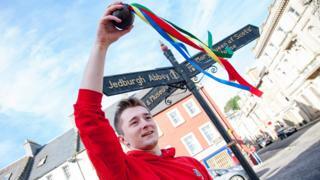 The annual hand ba' game took place in Jedburgh on Thursday - one of a number of Scottish Borders towns to stage such events on their streets. 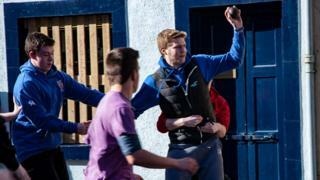 Image caption The game sees two teams - the Uppies and the Doonies - battle for possession of a small leather ball. 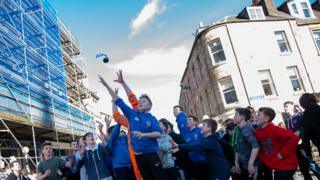 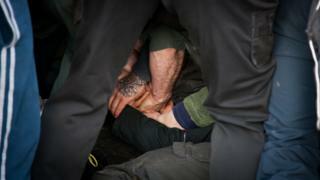 All images by Dougie Johnston.